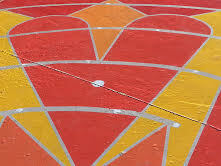 Labyrinths are ancient patterns whose single path leads to the center and back. Unlike a maze, which has multiple choices and dead ends and pits the walker against the maker in problem-solving which path to take. 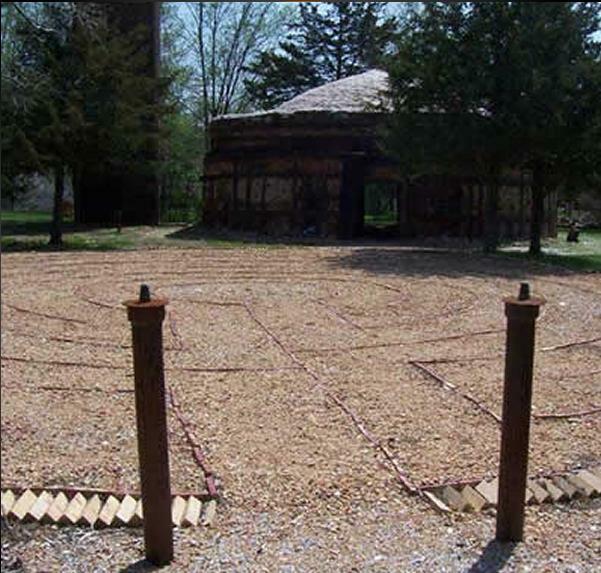 The labyrinth is designed to help the walker find the path, not lose it. 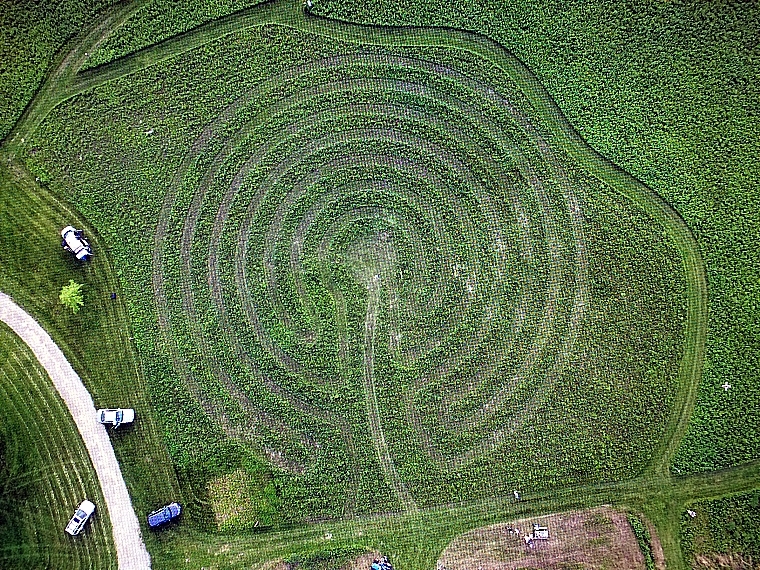 Dating back 5000 years, the classical seven-circuit labyrinth and its variants can be found all over the world. I do a wide variety of labyrinths. I use very diverse materials depending upon the site structure, needs of the community, and preferred materials of the clients. 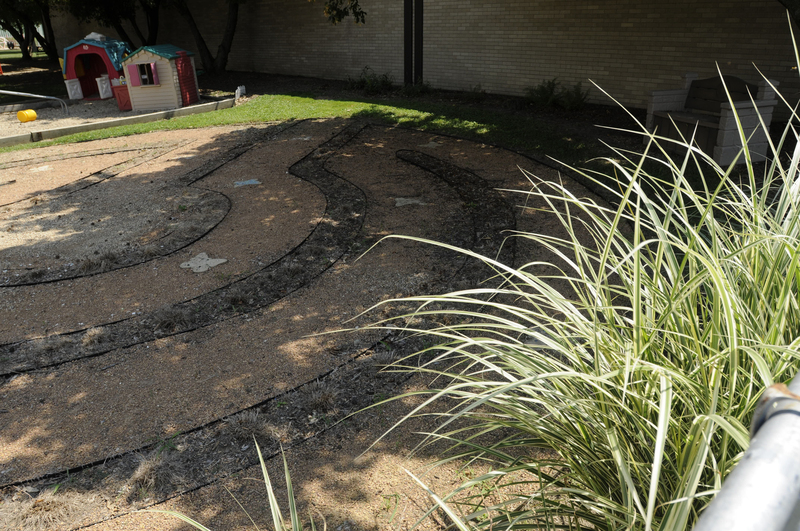 Horrabin Hall Children’s Healing Garden on the campus of Western Illinois University. 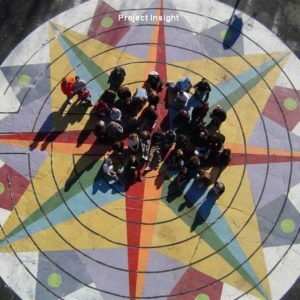 Project Insight Labyrinth Mandala made by 60 students at Project Insight Alternative Day School. 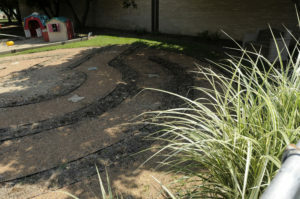 Project Insight Labyrinth Mandala made by 60 students at Project Insight Alternative Day School. 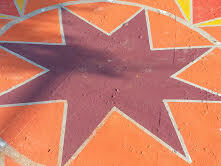 49 feet in diameter, this project took us two weeks. 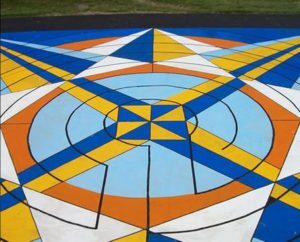 Carroll Stream labyrinth mandala. 49′. 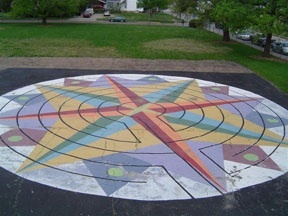 Project Insight labyrinth mandala. 49′ in diameter. 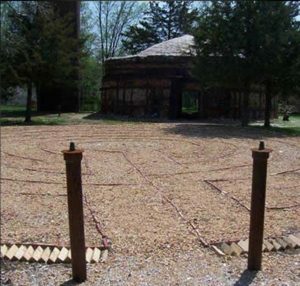 View 2 of Barefoot Gardens labyrinth mandala. 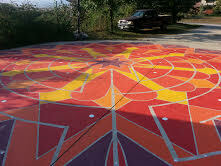 View 3 of Barefoot Gardens labyrinth mandala.